Stop the Moon Queen Luna! Are you ready to find EOS most vernal places? Test now and receive exclusive rewards! Take part in our forum event! Let our Buff Thermometer rise! So let’s get the party started and enjoy the patch and the events! Valentine's Day is a joyous occasion, but not all Isyans are happy about it. Why is Florenz so distraught? Maybe you can help him! The Kingdom Update is finally up and running on our servers! Diamonds may be a girl’s best friend, but chocolate warms the heart. Brace yourselves: a mysterious fog will soon fall on your village! Horrifying misty patrols will invade Gaul. A themed event map await you, along with new quests and new items.The Fog event will start on 10/27 and end on 11/10. 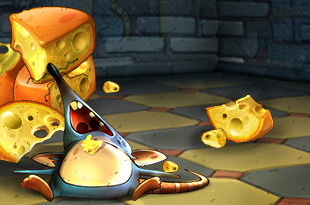 Become a rat boss and lead your gang to the cheese paradise! 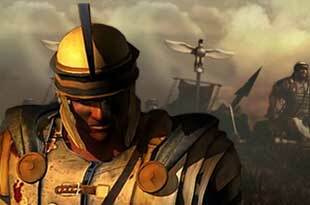 Romadoria - The Strategy-Game in Ancient Rome. See, Play, Prevail!